The Syrian “opposition’s” High Negotiations Committee (HNC), announced from the Saudi capital Riyadh that it would not participate in the peace talks in Geneva on Friday. The announcement came as the Syrian government reasserts sovereignty over large swaps of territory previously held by various foreign-backed insurgencies. The HNC is an umbrella organization for a number of political and militant organizations, including Al-Qaeda franchises. It is the second time within a week that the HNC boycotts the talks in Geneva. On Monday, January 26, U.S. Secretary of State John Kerry announced “from Laos” that the talks scheduled for Monday had been delayed. Kerry said that a new date would be announced within 24 – 48 hours. The boycott of the talks in Geneva on January 29 sabotages the first attempt within two years to find a political settlement to the five-year-long war. Making an announcement from the Saudi capital Riyadh, the HNC stressed that it would certainly not attend any talks before it had seen “signs of goodwill”; That is, an end to airstrikes, blockades, as well as a number of other guarantees. The HNC had among others “expected” U.N. guarantees of steps including a halt to attacks on civilian areas, a release of detainees, and a lifting of blockades. Other HNC members noted that the HNC could be ready to attend talks within three or four days after its demands had been met. The realities on the ground in Syria are making it impossible to meet the HNC’s demands. The HNC demands an end to the bombing of and siege against civilian areas. Meanwhile, insurgents associated to the HNC continue launching attacks from civilian areas. This includes the shelling of residential areas of Damascus and other cities. Weapons, munitions, insurgents and other material continues to flow across the Jordanian, Turkish and Iraqi border, necessitating air strikes. Weapons, logistics and fighters also flow into Syria via the Israeli-occupied Syrian Golan. Air strikes and other operations are also necessary to stop the trafficking of Syrian oil. Stolen oil is either smuggled directly to Turkey or “laundered” via the semi-autonomous northern Iraq. It is noteworthy that the European Union’s decision on April 22, 2013, to lift the ban on the import of Syrian oil from “rebel-held territories” continues to “fuel the war”. The current conditions are making it virtually impossible for the Syrian government to implement a ceasefire without risking that Al-Qaeda and ISIL linked brigades assert control over large swaps of territory. The HNC’s decision to boycott the talks in Geneva until all of the conditions outlined in UNSC Resolution 2254 (2015) plus additional demands have been met increase the likelihood that the war will continue and will have to end with a military solution. The Syrian Arab Army (SAA) supported by National Self Defense Units, Lebanese Hezbollah units, Iranian “advisers” , Russian Air Forces and according to some well-informed local sources known to nsnbc some Russian special forces, continue regaining control over previously “opposition” held territories. Last week the SAA recaptured the strategically important cities of Rabia and Salma in Latakia, from Jabhat Al-Nusrah and Free Syrian Army units. Rabia is no more than 13 kilometers from the Syrian – Turkish border. Special U.N. Envoy De Mistura described the HNC’s boycott of the talks as “a bitter blow”. De Mistura expressed his hope that the talks could be launched within the next few days. The HNC represents political and armed groups including the Islamist Jaysh al-Islam. Jaysh al-Islam is an umbrella for, among others, the Syrian Al-Qaeda franchise Jabhat Al-Nusrah. Jaysh al-Islam also absorbed Liwa-al-Islam, which was responsible for carrying out the chemical weapons attack on Eastern Ghouta in August 2013. The HNC also represents the remnants of the largely defunct Free Syrian Army (FSA). The majority of FSA fighters have, over the last years, either joined Jabhat Al-Nusrah, ISIL, and other Islamist brigades. 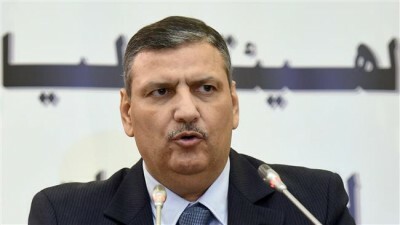 Some former FSA fighters, including officers, have reconciled with the Syrian government and the Syrian Arab Army after it became obvious that regional and international players aimed at the long-term destabilization of the region with radical Islamist mercenaries.